We manufacture all type of MS Pipe Delineator. Most of the delineator are ready stock or can be manufactured in shortest lead time at the the most competitive prices. For the diverse requirements of our valued clients, we bring forth a broad array of Kohinoor Posts. The offered Posts is designed using the best quality raw material and advanced technology in adherence with industry standard. It is highly flexible and is a single piece post. Our post is tested on varied parameters of quality to maintain its flawlessness. Used in high security areas, this post is well demanded by the clients for its dimensional accuracy and classy look. Leveraging on our vast industrial experience in this domain, we are devotedly engaged in offering an extensive array of Non Flexible Delineator. The offered delineator is designed by using high-grade raw material and cutting-edge technology under the vigilance of adroit professionals. We offered this delineator to our clients in diversified designs and specifications as per the demands of our clients. 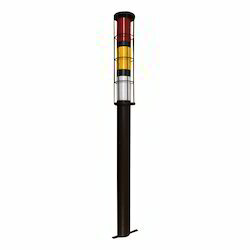 Used as a road safety accessory for traffic control and management applications, clients can avail this delineator from us at nominal prices. We are the manufacturers of various type of PVC posts / spring posts. We use best quality raw material to manufacture our products. Our products are very competitively priced in the market. Primarily used for temporary lane division. Made of PVC material making the product sturdy and rigid. 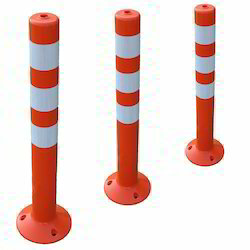 As per the variegated requirement of our clients, we are offering a broad collection of Road Delineator. Give the best reflective performance to show the road geometry during day and night, offered delineator is manufactured using the best quality raw material and advanced technology by our adroit professionals. 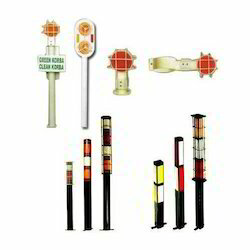 Apart from this, these delineators are available in various sizes, designs and specifications. To keep the client satisfied, we manufacture, wholesale and supply high quality Metal Road Delineator. Ideally suitable for dangerous curves, central verges and island, our adroit professionals utilize superior quality raw material and the latest technology, while manufacturing this delineator. 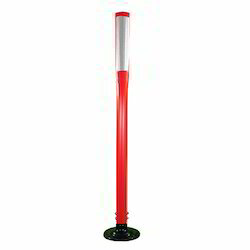 Moreover, this delineator can be availed in various sizes and shapes at market leading prices. The provided delineator is checked against different quality measures so as to ensure its quality. 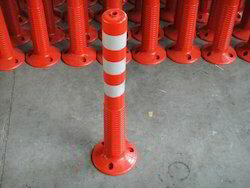 Traffic Delineator Post is suitable for all kinds of roads. Their reflectors give best reflective performance to show the road geometry during day and night making it convenient for drivers and keep them away from road hazards many times works like spring posts. These results in avoidance of accidents.